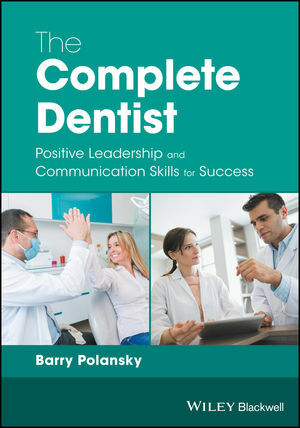 The Complete Dentist: Positive Leadership and Communication Skills for Success is a one-of-a-kind guide to starting and running an effective and successful dental practice. Barry Polansky, DMD, CAPP, operates his own private dental practice in Cherry Hill, New Jersey, USA. He is a Visiting Faculty at the Pankey Institute in Key Biscayne, Florida, USA, and is the founder and developer of www.academyofdentalleadership.com and www.taoofdentistry.com.